Rail passengers have been stuck on a train from Haywards Heath for nearly four hours this morning (April 30). 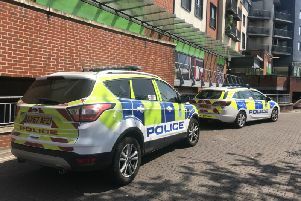 British Transport Police and paramedics have evacuated some of the trains which have been stuck outside Clapham Junction, however some passengers are complaining the trains are hot and crowded with no air conditioning. Southern Rail said the delays are expected to last until the end of the service. Gatwick Express services are not running. Have you been affected by the trains? Please get in touch.